Harold A. Weston is Clinical Assistant Professor of Risk Management and Insurance in the Robinson College of Business at Georgia State University. He is a licensed attorney in Georgia and California, a licensed insurance producer, and holds the CPCU, RPLU, and ARM insurance designations. Prior to joining the faculty, he was engaged in private and corporate legal practice, and as a consultant on insurance and risk management. He has advised and litigated almost all aspects of insurance coverage and “bad faith” cases, through appeals. He has also litigated insurance defense, agent-broker professional liability, and other commercial cases. 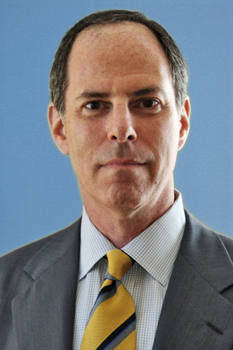 Prof. Weston’s corporate insurance experience was as senior counsel at Fireman’s Fund Insurance Company in the coverage counsel office, and then in the general counsel office handling regulatory compliance, agency-broker matters, policy forms drafting and manuscript endorsements, professional liability, financial institutions privacy, and general business matters. His publications include a book on insurance law (updated yearly) and four articles in the ALR legal encyclopedia, and articles on insurance, risk and governance. Recent articles and presentations have been on cyber liability, privacy, long-term care and financial planning, non-profit governance, regulatory risk, and business ethics in the curriculum. Prof. Weston is an associate editor of the Journal of Financial Service Professionals. He is on the board of and the president-elect of the CPCU Society – Atlanta chapter. Other professional memberships and involvement include Professional Liability Underwriting Society, Risk and Insurance Management Society, and the Georgia Captive Insurance Association.